CALIFORNIA LIVING™ is all about California’s trends in food & wine, travel & leisure and living the healthy California lifestyle, and this week in celebration of the “Center for Volunteer & Nonprofit Leadership of Marin’s” (CVNL) 50 year Anniversary celebration on April 5, CALIFORNIA LIVING™ series creator Aprilanne Hurley shines the “Community Spotlight” on California home designers featured in two The Marin Designers Showcase CALIFORNIA LIVING™ Home Design Specials. Join CALIFORNIA LIVING™ host Aprilanne Hurley for the inside look at how to expertly pair wine and food with Executive Chef John Ash at The Culinary Institute of America at Greystone, Napa Valley, California. 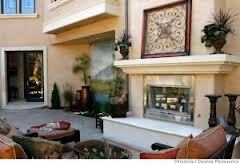 Love everything about home design but hate the cost? CALIFORNIA LIVING® with host Aprilanne Hurley has the inside look at money saving “home design hacks” that can make your home ‘look like a million’ without spending a lot of your hard earned cash in the process. 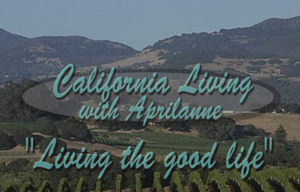 If you love dining on farm to table cuisine, sipping Napa Valley wine, and living the relaxed California lifestyle, California Living™ with series creator Aprilanne Hurley has the dish on the perfect romantic Bay Area getaway for you this season. 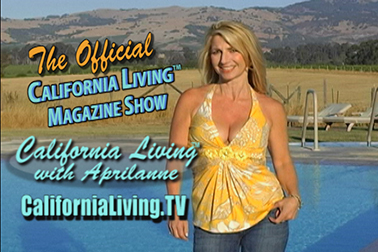 The CALIFORNIA LIVING™ brand was established in 2005, when Stanford University trained Inside Look TV™ producer Aprilanne Hurley set out on a mission to create CALIFORNIA LIVING™ – a fun, new TV magazine show series delivering the inside look at California’s trends in food, wine, travel and healthy living. 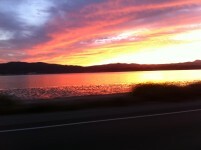 Fast forward 8 years and Inside Look TV™ has more than a few reasons to celebrate with 2013 marking CALIFORNIA LIVING’s 8th season airing on broadcast TV. California Living Season 8 with series creator and host Aprilanne Hurley delivers the 2013 California Insider Guide to Bay Area getaways offering fresh off the dock seafood, and farm to table cuisine in romantic California destinations such as Napa Valley, Sonoma County, and along California’s famed coastline. 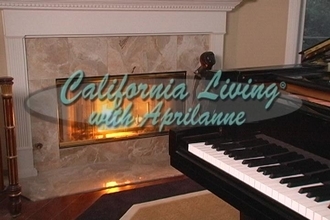 California Living with Aprilanne airs Tuesday & Thursday mornings @ 6:30 a.m. in the San Francisco and Sacramento, CA markets on ION Television.